Congratulations on the one year anniversary of the WSORCA Website. I think back to the very first meeting I had with retailers, all 11 of them. And I look at where we are today as of this morning we have 839 registered members, representing 114 cities and 14 states and Canada. This information sharing website has gotten to where it is today all by word of mouth. We have had 37 arrests that I am aware of based solely on information obtained from the WSORCA website. I am very proud of each and every one of you for the work you have done and I hope to reach the goal of 1,000 members by the end of the year. Please continue to spread the word and get all of our law enforcement, retail, and prosecutors on board. Remember the more we share information, the more we will be able to control this epidemic. We have set the date for the training conference as October 18th, 2012 at the Washington State Criminal Justice Training Commission in Burien Washington. Please sign up for the conference on the website and you will be emailed all the specifics about the conference. I hope to see all members of WSORCA at the conference. This conference is being provided free of charge by the generous donations from our retail partners. Once again, congratulations on the one year anniversary and I hope to see everyone in October. 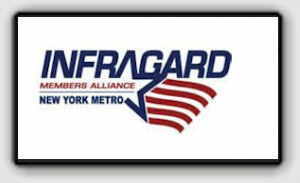 "The Impact of Organized Retail Crime to the Economy"
On behalf of the NY InfraGard Alliance, we would like to invite you to become a sponsor of the seminar for its members and non-members on Organized Retail Crime. 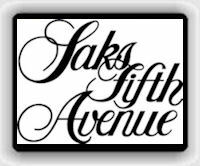 This seminar will be hosted by Saks Fifth Avenue on Tuesday, May 8th, 2012 from 11:00 am - 5:00 pm. (Lunch will be provided courtesy of Saks Fifth Avenue). The topic of the Seminar will be "The Impact of Organized Retail Crime to the Economy". The speakers will be from both the Public/Private Sector and a panel of experts will have a Q & A. After the seminar, there will be a social and networking event from 5pm - 7pm. Hitha Prabhaker, Retail Reporter, Bloomberg TV and author of "Black Market Billions"
Sponsorship opportunities are still available. Sponsorship opportunities that will include the following: On-site signage with company logo; Oral acknowledgement during general session and social event; Recognition in the on-site program distributed to every attendee; Exhibit Opportunity – table top; Webcasts - company logo placed on meeting seminar link and Infragard Website. Sponsorship rates are from $1000 up to $5000. Please contact Jose Sandoval by Friday, May 4th if you want to become a sponsor or if you have any questions.